You are about to embark on a journey, which of these scenarios would you find most exciting? You do not know where you want to go and you have never been there before. You know where you want to go and you have been there before. You know where you want to go but you have never been there before. I don’t know if you agree but I would find the last scenario the most exciting. A journey without a predetermined destination is one of frustration and utter confusion, and one most people would not look forward to. The re-current bends, turns and U-turns would make anyone physically and mentally tired and may even worse lead to nowhere. However, having a predetermined destination enables you to make adequate research ahead of time: the routes, possible challenges and solutions are all revealed to you and even when the unexpected happens, you are better equipped to deal with it as you go on with your journey. Just the way a movie you’re watching for the first time would most likely give you goose bumps compared to one you have seen before, the new experience, the uncertainty of events and the curiosity attached to finding out or reaching your destination would make a “new journey” the most exciting. So how do you intend to have it? An exciting journey (life)? Or one of frustration and utter confusion? The decision would always be yours to make. The first decision, the first action, the first step has to be taken by YOU. We go through various types of experiences in life… as life is made up of seasons: the season of love, joy and happiness, the season of loneliness, sadness and discomfort, the season of success, financial and material abundance, the season of failure, sickness or financial downfall. Although we all do not go through the same experiences in the course of our lives, we all have had our share of good and bad experiences or positive and negative experiences. Each of these experiences has the potential to awaken within us a stranger completely unknown to us, to evoke characteristics we never knew we had in us. Therefore, we need to define ourselves, who we truly are based on our strengths and weaknesses, our passions and aspirations, our likes and dislikes, we need to ask ourselves: where do we belong in this world? We need to embark on the journey to self-discovery because only then can we truly prepare ourselves for the wavy ride through the sea of life. Reflection can only help you if you would stay true and open to yourself, there’s no need to stay lying to yourself when the truths about your life, where you are, what you are doing or have done and their consequences are so glaring. Your conscience plays a huge role in effective reflection. Let your conscience help you grow. For some, their conscience is like that outcast in which whenever it is his turn to speak, no one listens anymore, everyone pays very little attention to what he has to say and even when they are listening, they listen with the intent to disagree with his opinions. Listen to your conscience and make it your friend rather than your enemy. Though it may not be so easy to completely follow your conscience, you need to embrace its opinions and judgement rather than resent it if you truly want to become a better person. Reflection is the first and major step to self-discovery. Many run away from asking themselves deep questions. While some are basically too lazy to seek answers, others are probably afraid of what they may find in the process. However, for one who wants to discover or unleash his/her inner greatness, asking self-empowering questions is very important. Who/what brings out the best in you? Who/what brings out the worst in you? 3. Look around you, what do you see? Do you see opportunities and possibilities? or problems and impossibilities? The optimist regards problems as an opportunity for growth and development while the pessimist regards problems as a road-block to growth and development. Which of these are you? 4. Put your SELF-AWARENESS switch on. Self-awareness helps you to identify your moods and behavior at any point in time. As humans, a lot of our words and actions happen almost automatically (i.e. they occur with little or no thinking) and this is responsible for many of the mistakes we make. Self awareness enables you to “catch yourself in the act” and is therefore a necessary habit to have for one who wants to discover himself/herself. Self awareness helps to coordinate and process our thoughts and actions appropriately in our day-to-day activities. Keeping a journal not only serves as a great healing technique for emotional distress, it is also a great habit to cultivate on your journey to self discovery. Putting down (in writing or typing) your thoughts and the product of your daily reflections helps you to get a hold of a whole lot of information about yourself before they fade away. My personal experience from keeping a journal led to the establishment of this blog. Who knows what great things you would discover about yourself if you cultivate this habit as well? 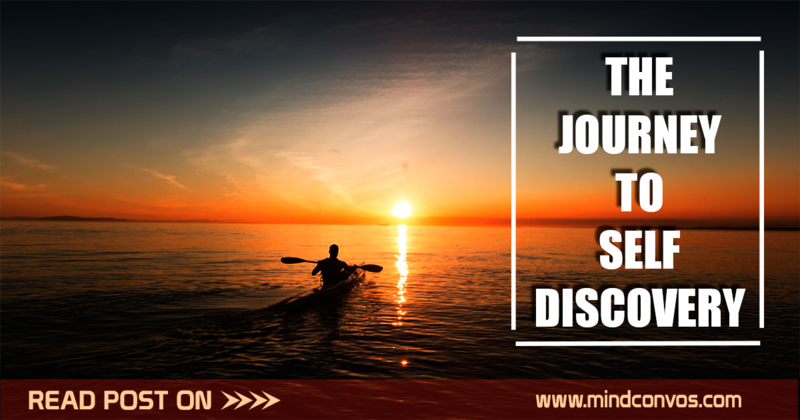 The journey to self discovery is as long as life itself. However, it is one of the most rewarding journeys we can ever embark on in this “wavy ocean” called life. The difference between a life lived in self awareness and one lived on “auto-pilot” is like that between life and death.